With the increasing popularity of virtual reality experiences and the undeniable decreasing number of vehicle shoppers physically visiting shiny showrooms and generously oversized car yards these days, there is no question why industry professionals are exploring and investing in 360-degree photography and video platforms to increase website engagement and lead generation at a Vehicle Detail Page (VDP) level. Position yourself in your customer’s shoes – spoilt with a constant connection to social media platforms and internet access to accommodate their busy lifestyles. We live in a society where people are well informed, know what they want and want it now. Capitalise on your customers’ desire for instant gratification by assisting them to make a more informed decision when it comes to purchasing their new car, right at the touch of a button. Ask yourself this question: will the 360° view of the interior and exterior of my vehicle stock help my customers to purchase their next car by making an informed decision? If you have answered yes then you will benefit from Auto360°, our new photography app. 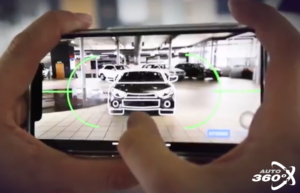 With direct linking to vehicle stock, Auto360° is our new photography application, and the only application in the market, that enables you to create and upload 360° images and video to your website and used vehicle portals, as well as send “one to one” 360° images and video directly to your customers. It sounds easy right? Well, it is! 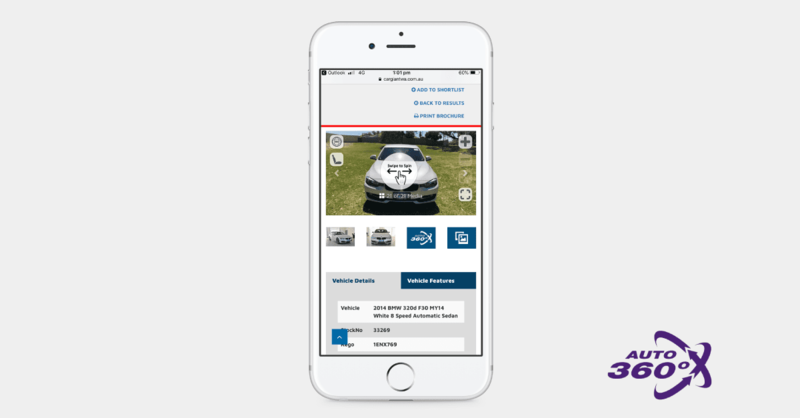 – All you need is our mobile application, so you can take 360° external and interior images, match them to live vehicle stock to appear on your website and/or send them via email/SMS directly to your potential client! Hey, there is more – Other main features include real-time reporting and dynamic wire-frames for image consistency and photographer efficiency, plus much more! A nice to have that is becoming a standard – So, when is the right time to use 360° images? Although 360-degree photography is not a ‘must-have’ on dealership websites (yet), here at Dealer Solutions we are seeing an increase in the demand for this product with some OEMs dictating its use on their official and franchisees websites, while some independent and used car dealers are seeing this new feature as a way to position themselves in their market and stand out from the crowd. So, don’t wait – Start getting ready for the future and start preparing your listings to meet your customer’s expectations. Learn more about how Auto360° can help you increase lead generation by having a chat with our team! We will be able to answer any questions you might have and to determine if Auto360° is right for you. Share your details on the contact form below and we will be in touch shortly.